Pimples return at the worst time. They will crop up right when you have that big presentation or worse when it’s time for that big date. To keep your skin free from such unpleasant surprises, we have brought you simple homemade beauty tips for pimples. 1. 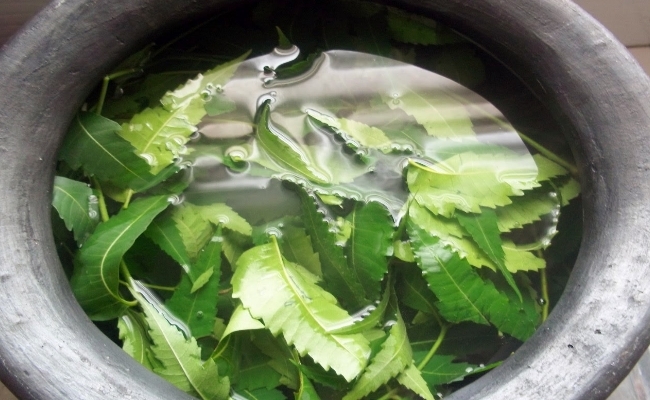 Wash with neem soaked water: Neem is well known for its anti bacterial properties. Because making a fresh neem pack can be a painful process, we have brought you a simpler one. Simply boil neem leaves in water and let the water cool. Then strain the leaves out and rinse your face with this water twice a day. You can even choose to apply it as a toner. This will attack the pimples at their root, by getting rid of the germs and dirt. The appearance of pimples will reduce over time. 2. Tone with gulab jal (Rose water): After you wash your face with your favorite face wash, take a bowl of chilled rose water and a cotton ball. Dip the cotton ball into the bowl and go over your pimples. 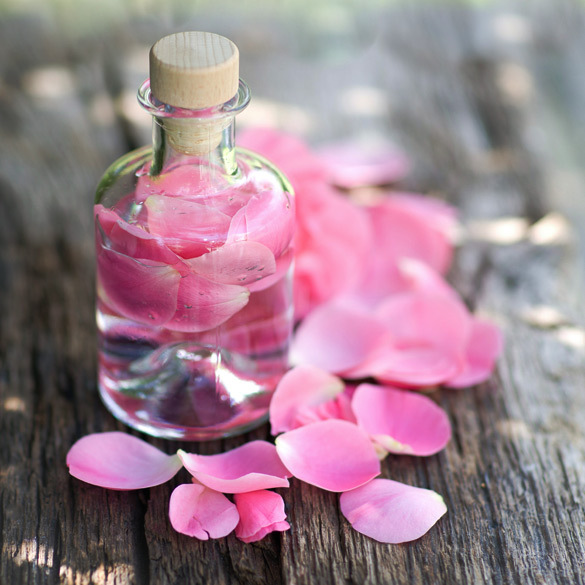 Let the rose water dry on your face and do not rinse it off. This process absorbs the excess oil and sebum from the pimples and tightens the pores around it. This method works not only as a cure but also as prevention. 3. 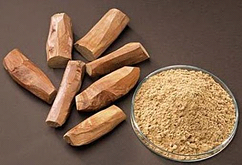 Chandan face pack: Chandan (sandalwood) is very well known for the cooling and cleansing properties it has. Once or twice a week, mix some rose water into a spoon or two of chandan powder. Make it into a thick paste and apply onto your pimples. The cleansing and cooling factors of chandan with the absorbing powers of rose water will soak up the oil around your pimples and reduce their size. 4. Ice: When you see a budding pimple, like the tiny red ones, don’t touch it. At least, don’t touch it with your fingers. 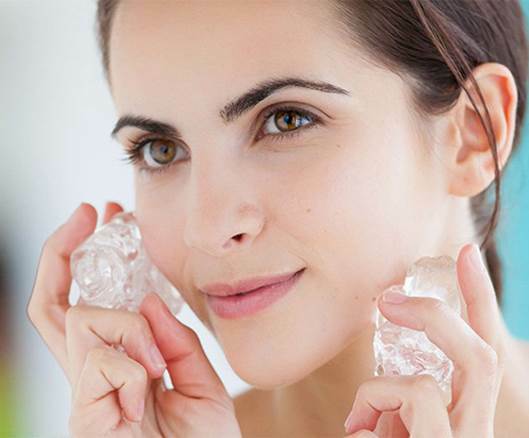 Bring out at ice cube and rub it gently over your pimples. It will combat the heat in your pimples and reduce the oil around it. While this may not completely remove your pimples, it’s a helpful hack to know for those desperate situations when you need to look your best and the pimple creeps in. 5. Tea tree oil plus aloe vera: Both tea tree oil and aloe vera are well-known cures of acne. 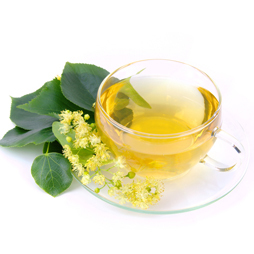 The anti bacterial properties of the tea tree oil clean out blackheads and whiteheads as well. It cleanses the area around your pimples, removes or reduces them and prevents them from spreading. Aloe vera acts as a great base for the face pack because it soothes the skin and dries out the pimples, without drying out your skin. The only way you can be sure to maintain pimple free skin is by maintaining clean skin. Wash your face thoroughly at least thrice a day and do not let dirt of dust accumulate onto your skin. Through trial and error, build yourself a face cleansing regime that works for your skin. And remember that homemade remedies take longer to take effect.